This week, I’m joined by renowned trial and appeal lawyer, Faisal Mirza, to discuss the ins and outs of criminal law. Topics include: mandatory minimum sentences for drug offences, extrinsic information in the jury room, and the fallout of Bill C-51. 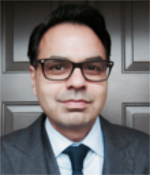 Faisal Mirza is a criminal trial and appeal lawyer with the practice Mirza Kwok Defence Lawyers, located in Mississauga, Ontario. He has acted as defence counsel in numerous trials of national importance, including the acquittal of two youths charged with the first shooting death inside a Toronto high school, and also the defence of persons who were alleged to be part of the infamous “Toronto 18” terror plot. He frequently argues at the Supreme Court of Canada and the Ontario Court of Appeal. He has worked on major appeals that have impacted the law of the Charter of Rights; criminal procedure; jury instructions; bail; and sentencing. He is one of the few lawyers to successfully have a jury verdict held to be unreasonable. Faisal is also an Instructor in National Security and the Law at the University of Toronto. He has published articles on criminal procedure, mandatory minimum jail sentences, and systemic racism in criminal justice. In order to assist counsel and judges with preparing better juries and to ensure stronger records for appeals, he wrote the book entitled Criminal Jury Charge Practice which has been published by LexisNexis.